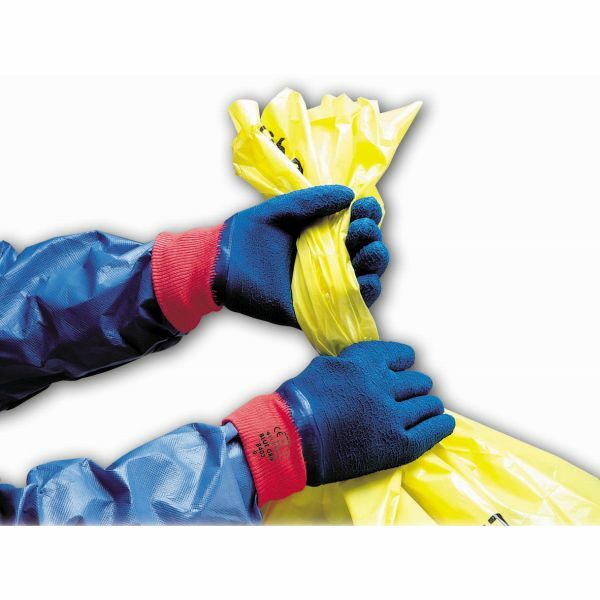 The Polyco Blue Grip Work Glove has a cotton knitted liner and a full crinkle latex coating offering excellent grip and good mechanical protection, ideal for handling rough and dirty materials. Providing good abrasion and tear resistance, the crinkle latex coating is ideal for handling rough objects and is highly resistant to mechanical impacts and hazards. 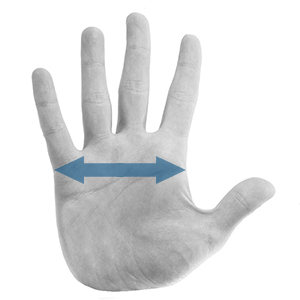 The Polyco Blue Grip is contoured, supple and elastic allowing for maximum flexibility and comfort, and is robust with excellent durability and a lifelong expectancy. 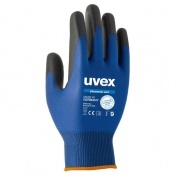 This highly versatile safety glove is suitable for many different applications. 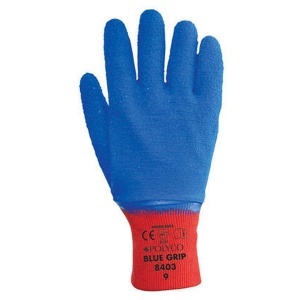 The Polyco Blue Grip Work Glove is especially suited for use in wet conditions where it delivers exceptional grip directly contributing to safety and productivity. 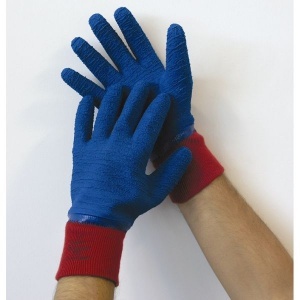 The brushed cotton interlock liner is soft and comfortable, and the knitted wrist ensures that the safety glove fits securely and keeps the hand free from dust and debris. 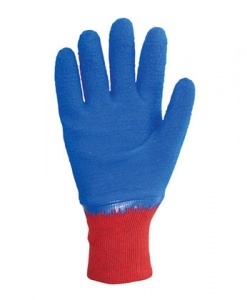 The product code for these gloves is 840. 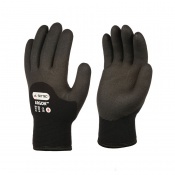 Offers good abrasion and tear resistance. Ideal for handling rough objects. 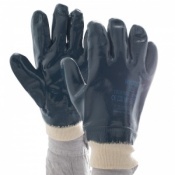 A full crinkle latex coating provides excellent grip in both wet and dry conditions. Brushed cotton interlock liner provides exceptional comfort for the wearer. Contains fungicidal and bacteriostatic agents.